After hitting two-year lows, gold prices are rising again. The price of standard gold of 99.5 per cent purity rose by Rs 440 to close at Rs 26,700 per 10 gms on Monday from the last closing level of Rs 26,260. 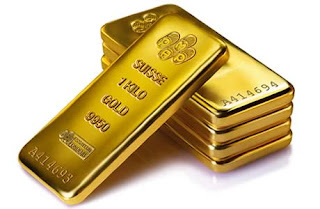 In value terms, gold demand in 2012 was $236.4 billion – an all-time high. According to the World Gold Council, the global official gold holdings totaled 31,694.8 tonnes as of April 2013. As gold continues its volatile ride, take a look at countries with the highest gold reserves, according to World Gold Council.